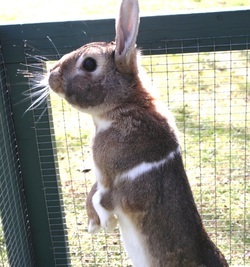 Flapjack is a young male. We're not sure of his age but we believe he is about 2 years old. He was brought in by the Inspector with Malibu. 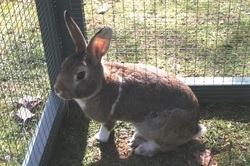 He is a dutch cross and has beautiful brown and white colouring. 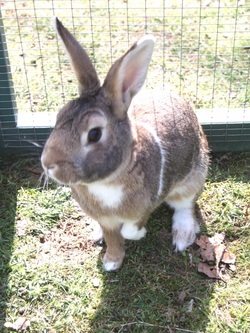 He is a little bit timid but can be handled and is looking for a mate to be re-homed with.